If you’ve been hankering to get your hands on a creeper and a Lego version of Minecraft just doesn’t do it for you then hopefully a brief gander at the Papercraft app will pacify your yearning. Sadly, you will need to break from the PC momentarily and pick up your Apple phone to realise your dream. The newly released Papercraft app lets you send models from your game of Minecraft to the iPhone and then turn them into a net which can be printed out from any friendly neighbourhood printing device. Check out the video of it in action below. 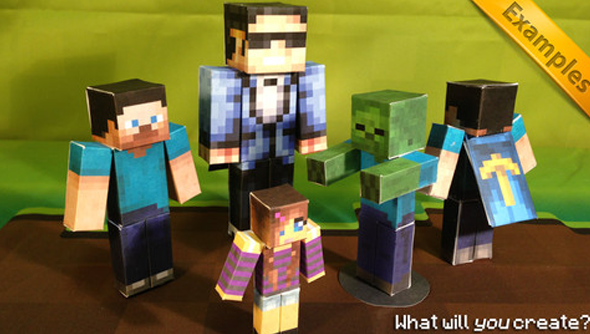 If you’re au fait with phone apps (I’m not, but the article over at Technabob which I’m sourcing for this post is) then you’ll spot that Papercraft is essentially a Minecraft-ified edition of the Foldify app. You can get your hands on app for $2.99 here.